Fishing enthusiasts will be in heaven during their stay at Triangle C Cabins! 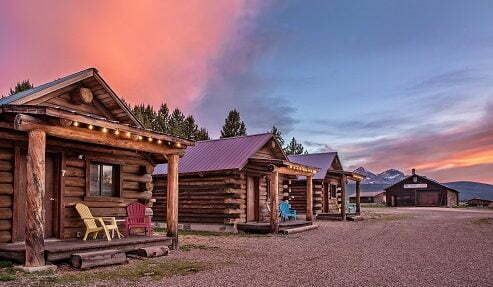 Our cozy cabins are tucked away in the Sawtooth wilderness, giving you access to countless opportunities for fly fishing in Idaho. Come see for yourself! Are you looking to come to Stanley for the fishing adventure of a lifetime? It’s time to plan your trip! Our complimentary Adventure Guide will tell you everything you need to know about our area. Whether you are looking for fly fishing in Idaho or whitewater rafting excursions, this guide can help. Access the guide today to save yourself from hours of research! Where is the Best Fly Fishing in Idaho? When visitors ask us where the best fly fishing in Idaho is, we always send them to the Middle Fork and Upper Main Salmon Rivers. Here, you’ll find a variety of fish that will grab at your line like rainbow, cutthroat, brook, and bull trout, Chinook salmon, steelhead, and more. Where Can I Get Fishing Gear? The fishing gear you will need will depend on if you decide to go fly fishing in Idaho by yourself or with a guide. There are tons of fishing excursions offered in this area; we recommend going with one of them because they usually provide everything you need. Otherwise, you can bring your own supplies or pick up what you need at Stanley Fly Shop. Keep in mind those over the age of 14 will need a fishing license from the Idaho Department of Fish and Game as well. Rocky Mountain River Tours specializes in rafting down the Salmon River. They offer two options for fly fishing in Idaho: Middle Fork Raft & Fly Fish or just Fly Fishing. If you choose the rafting trip, you’ll get to enjoy both whitewater rafting and fly fishing while also having the opportunity to explore the hiking and hot springs offshore. If you would rather strictly fly fish, you can go on one of the best fishing excursions the area offers and cast your line all day! Sawtooth Adventure Company recently created an extension to their business, Salmon River Anglers. As experts in the area, they will bring you to the best places to cast your line on custom fishing rigs designed just for that purpose. If you have never been fly fishing before or need to brush up on your skills, they also offer an introduction course! Not only does Silver Creek Outfitters sell all the gear you would need for fly fishing in Idaho, they also offer excursions tailored specifically to you and your skill level. They will take you on a guided fly fishing trip complete with a certified instructor to answer any questions you may have and give you some tips and tricks about casting in this specific area! If you’re looking for a home base for your fly fishing in Idaho adventures, we know just the place. Triangle C Cabins are simple, cozy cabins that are perfect to come back to after a long day out on the water. 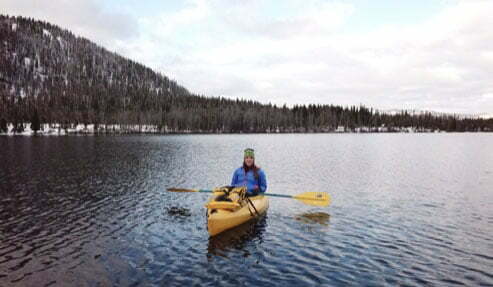 Plus, you’ll have access to all the amenities at Redfish Lake Lodge just a few moments away! Book the getaway of a lifetime today! Why You Should Go on an Adventure with Rocky Mountain River Tours — Where are the Best Day Hikes in the Sawtooth Mountains?